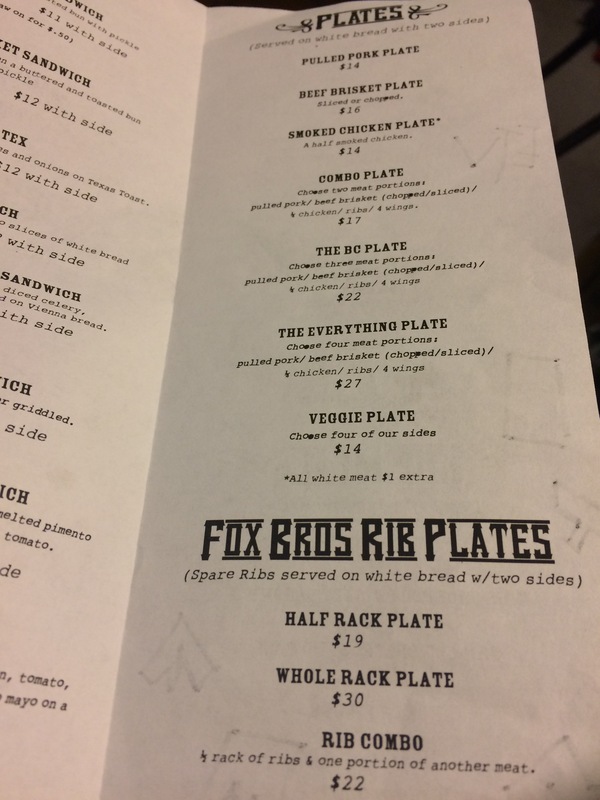 Since I love BBQ, a friend told me that I have to try this place in Atlanta called Fox Bros Bar-B-Q. 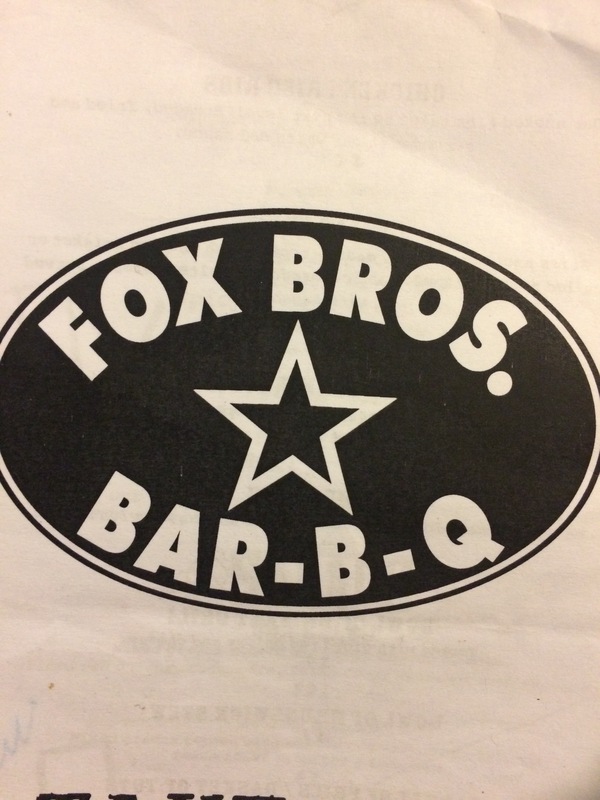 As far as I was concerned, I had a fave BBQ spot in Atlanta already, but he convinced me that I should try Fox Bros. When we went, it was raining and the place was packed. It was surprising that we were able to find a parking space. We put our name on the list to get a table. It was a 45 minutes – 1 hour wait. We were told we could order takeout and it would be ready in 15 to 20 minutes. We opted for that. We were hungry and ready to get to the hotel. Between the two of us we ordered ribs, pulled pork, macaroni and cheese, collard greens, and a side of jalapeños cornbread. For dessert, I had some of their banana pudding. 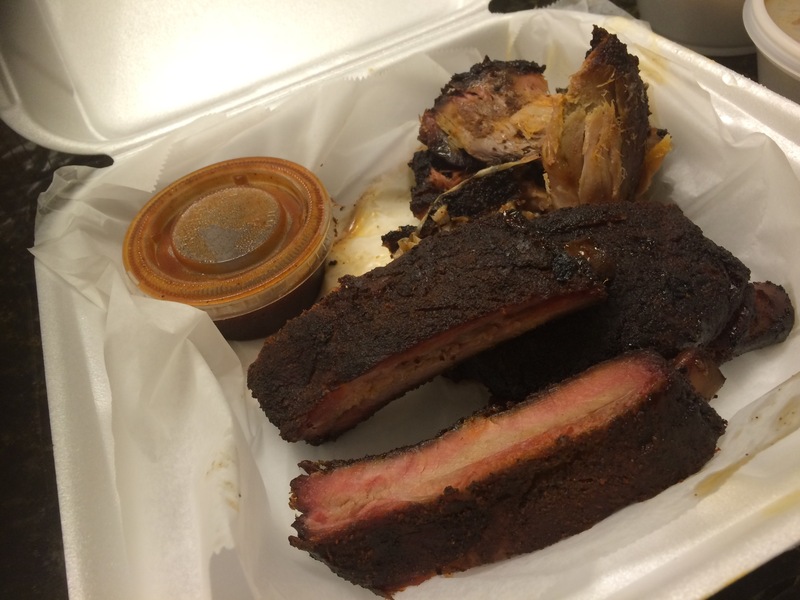 My fave BBQ join in ATL is Daddy Dz, but I must admit the BBQ here is just as good. It is a major plus that I could eat the pulled pork without sauce. It was not dry and was full of the smoky flavor associated with the slow cooking process. The macaroni and cheese used shell pasta instead of elbows which was unconventional but still tasty. The shells held more cheesy goodness. The banana pudding was good but I wish i could have had more cookies on the side. 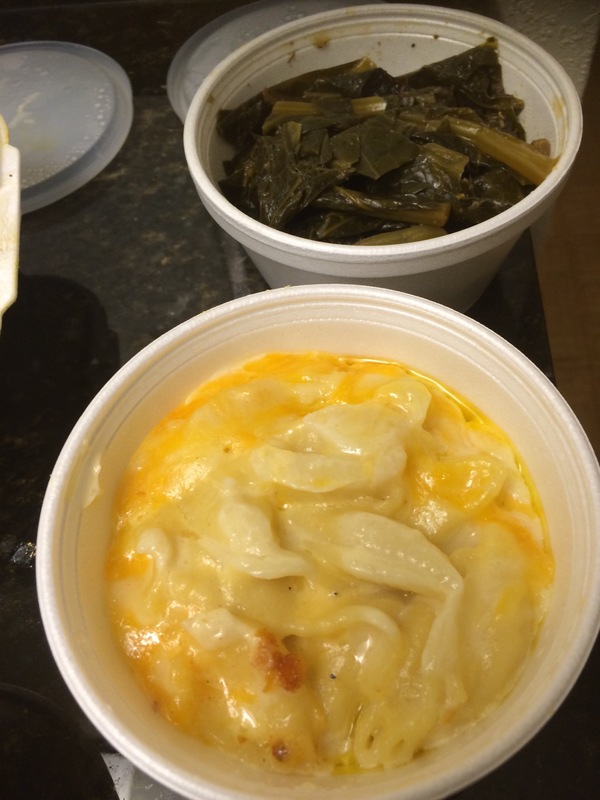 I don’t like soggy cookies in my banana pudding. They have so many delicious sounding items in the menu, I feel like I have to return so I can order some of the other stuff. Stuffed jalepeno poppers? Jalepenos stuffed with pulled pork and cream cheese. Yum!!! Do I recommend? Yes! It’s worth going to try their BBQ. You won’t be disappointed. Be prepared to wait or order take out.